Whew! New York City visitors and tourists, not to mention thousand of New York and New Jersey federal employees and local vendors, can breathe a sigh of relief as the federal government reached a plea deal at the eleventh hour this past weekend, avoiding a shutdown of the government and its services. A trickle down economic effect would have gone into place had the deal not been reached, reports NBC New York. If the deal was not secured, employees would not have reported to work due to a furlough and the city’s ten national parks and historic sites, including the Statue of Liberty, Grant’s Tomb and Ellis Island, would have been closed, which would be incredibly bad news for local vendors and concessionaries depending on the visitors of the attractions for their income. A spokesman for the National Park Service said that the Statue of Liberty entertains 10,000 visitors per day in April, which translates into a lot of revenue for local sellers. 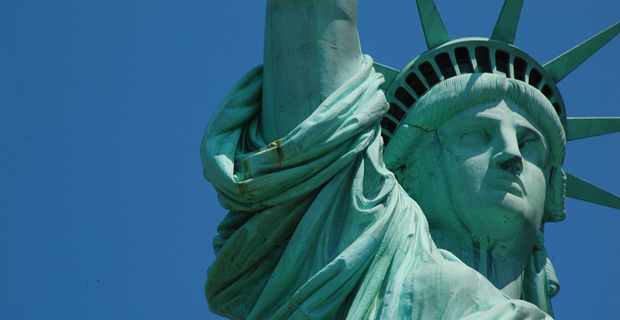 Do you ever visit local, historical attractions like the Statue of Liberty and Ellis Island? Since the September 11th attacks, visiting the Statue of Liberty has been quite the hassle, thanks to security concerns. Visitors are screened at Battery Park and are forced to toil and wait in long, slow lines. If tourists and visitors want a “two-fer” and plan to visit both Ellis Island and Liberty Island, they were forced to go through a second security screening process at Liberty Island in order to enter the statueâ€™s pedestal or crown. The headache is enough to make visitors and out-of-towners want to find something else to do while in Manhattan. The talks to create a new, streamlined security process have been resurrected after various state, local and federal agencies had reached a standstill. They have yet to come up with a new plan. It’ll come down to the amount of checkpoints necessary and required for the safety of all visitors. “The U.S. Park Police, New York City Police Department, the mayorâ€™s office and Interior Secretary (Ken) Salazarâ€™s office are all sitting down, going through the proposal by detail,” said Oliver Spellman, the Northeast senior program manager for the National Parks Conservation Association. “They’ve reopened the conversation with more agencies involved.” While there was a suggestion to bring the security operation to Ellis Island, Park Police do not want visitors to board ferries to Ellis Island without a security check to begin with. 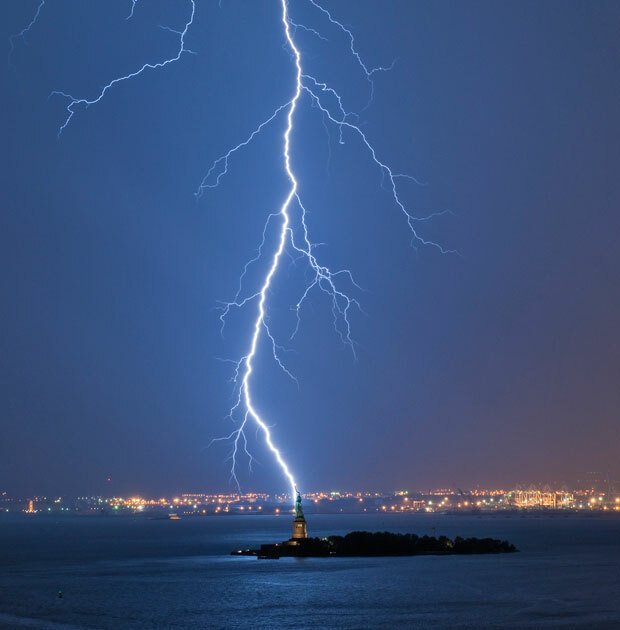 This shot was taken at about 8:45PM as lightening touched down on the water and over New Jersey. Lady Liberty and Castle Clinton dominate national-monument rankings. Reason No. 2,912 that Battery Park City rules: Turns out the two most popular national monuments in the entire United States are right in BPC’s backyard. According to data collected by the National Park Service and revealed by the Chicago Tribune, Castle Clinton and the Statue of Liberty were the most popular national-monument destinations in 2009 — yes, even beating out that ridiculously gargantuan ball of twine in Cawker City, Kansas, which, upon further research (and a quick check of our common sense), isn’t a national monument after all.